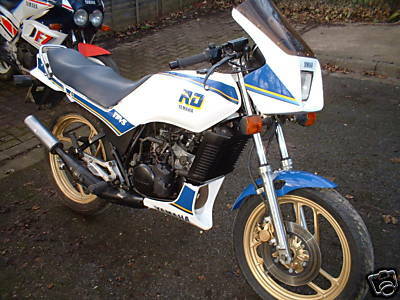 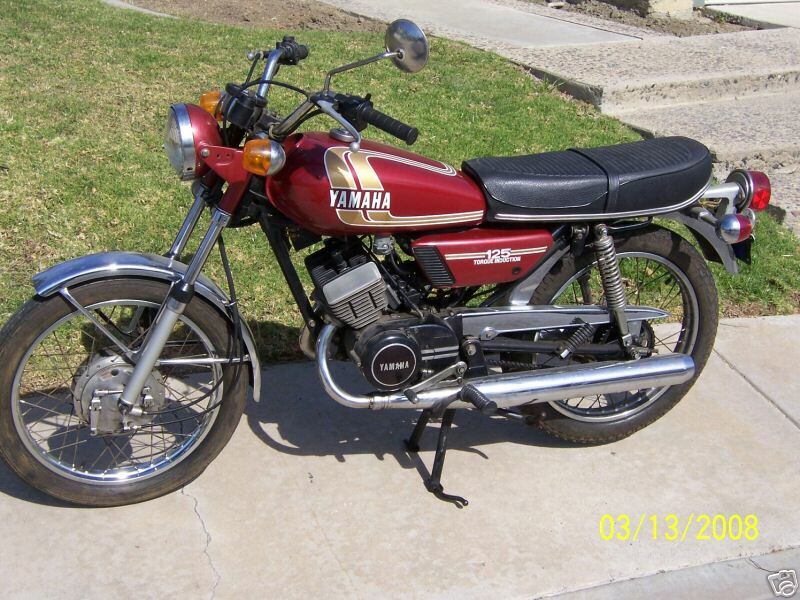 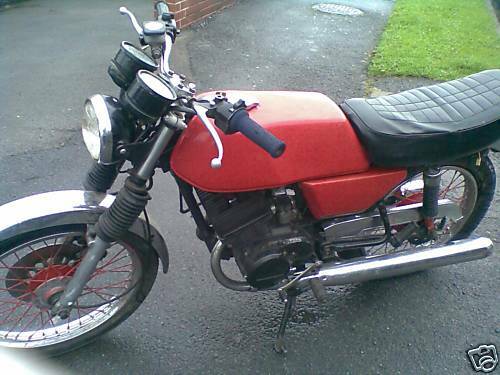 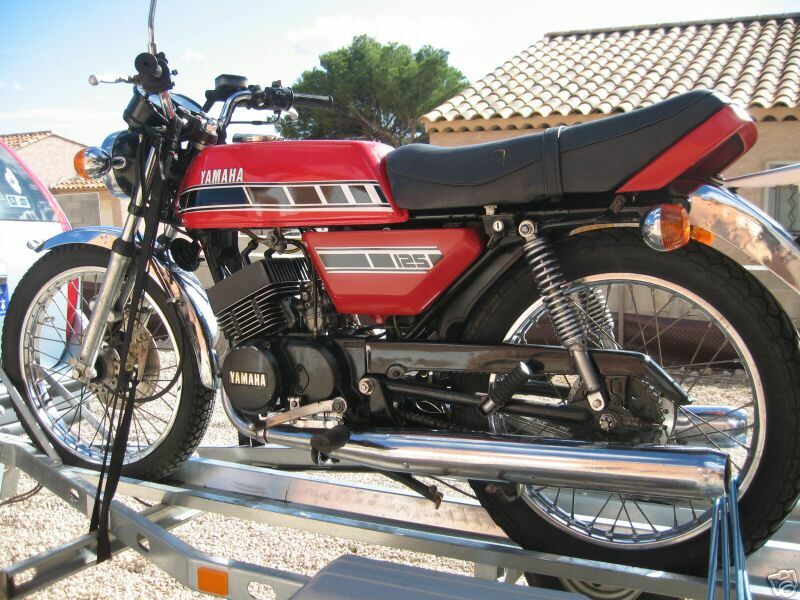 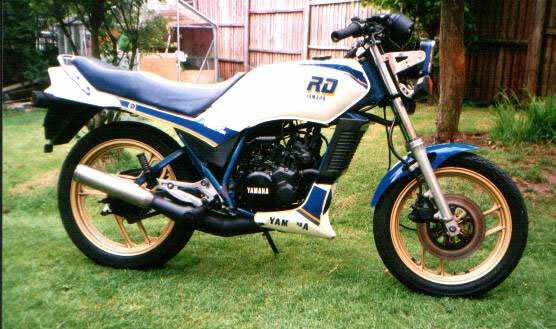 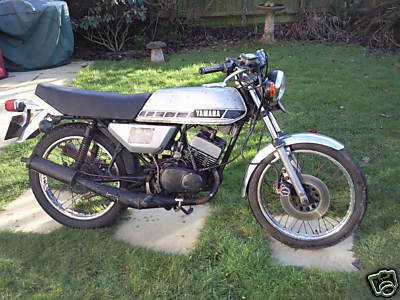 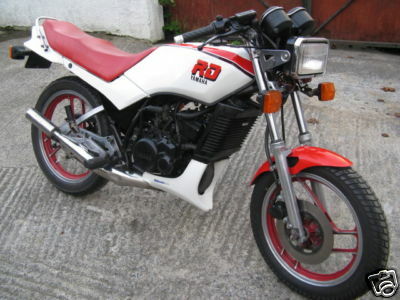 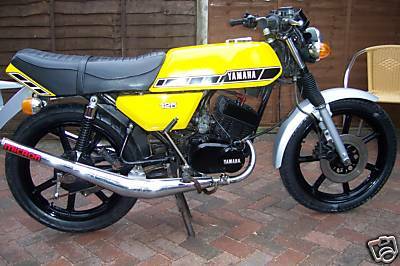 1980 Yamaha RD125 Twin air-cooled DX. 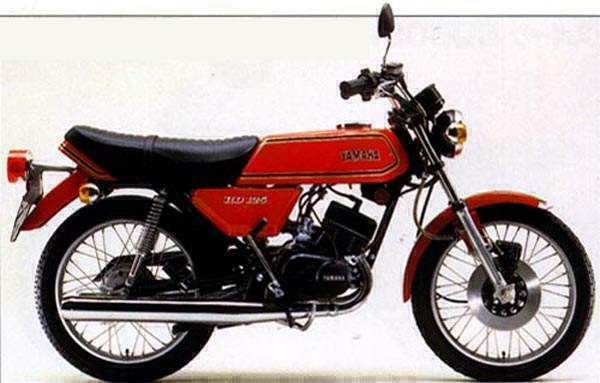 13bhp. 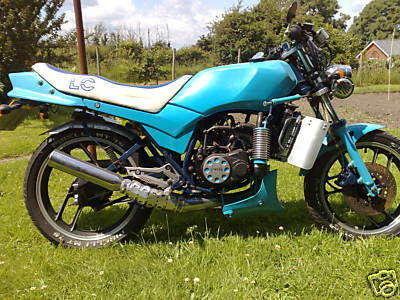 Liquid cooled, two stroke, single cylinder. 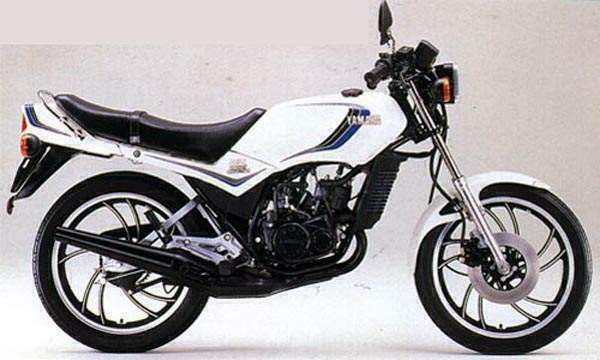 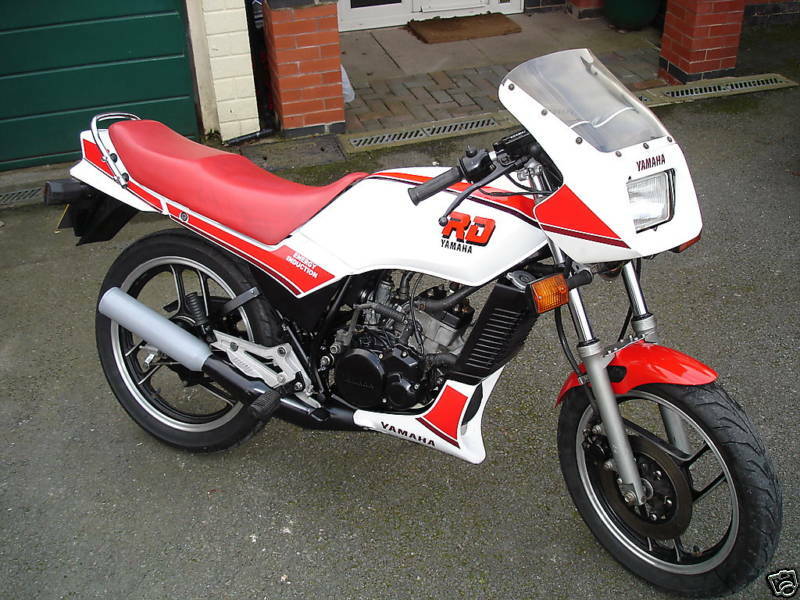 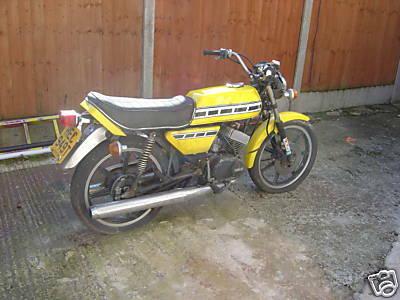 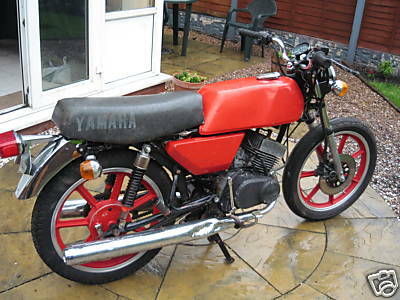 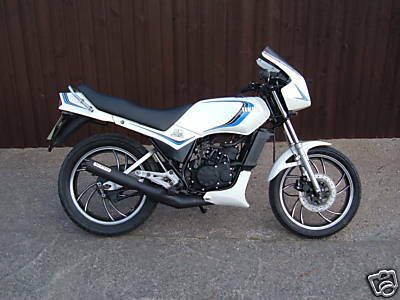 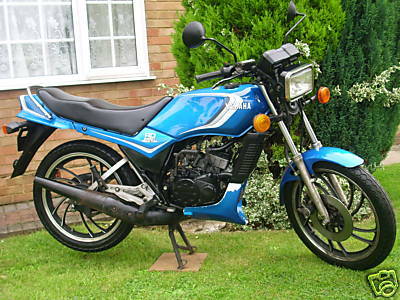 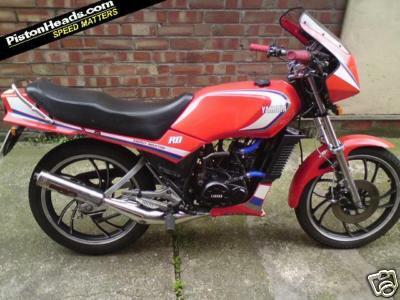 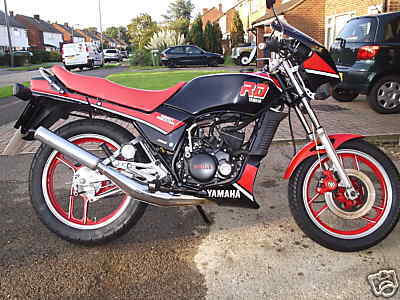 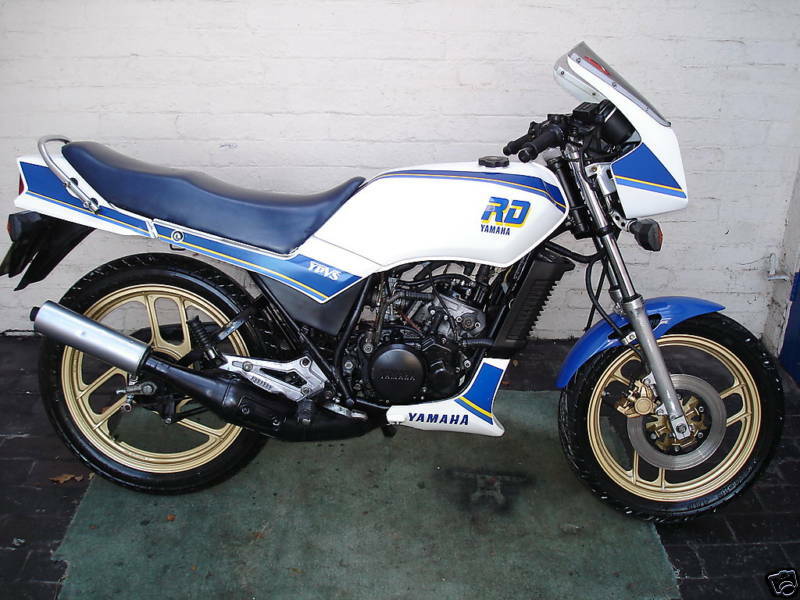 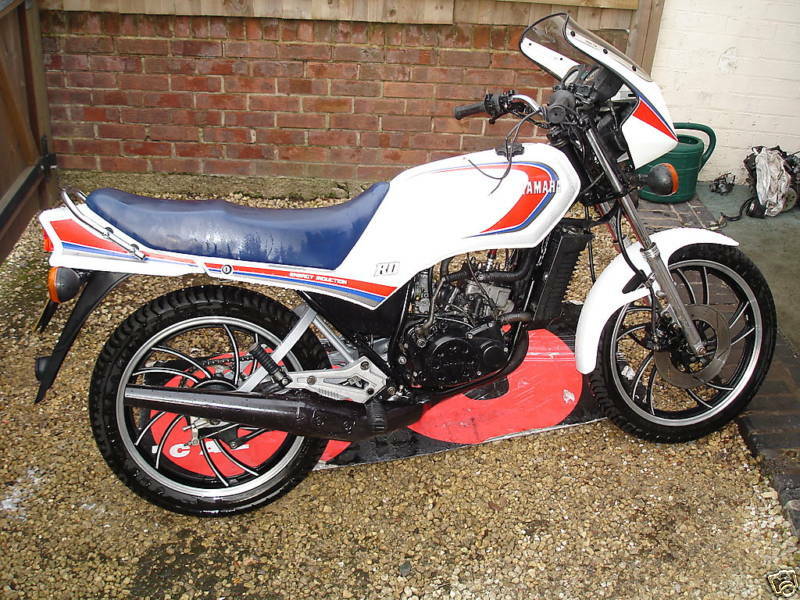 1983 Yamaha RD125LC Mk1. 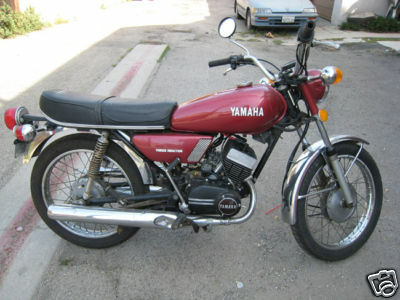 This bike is the proper 21HP version, was found kept in a German basement for 17 years. 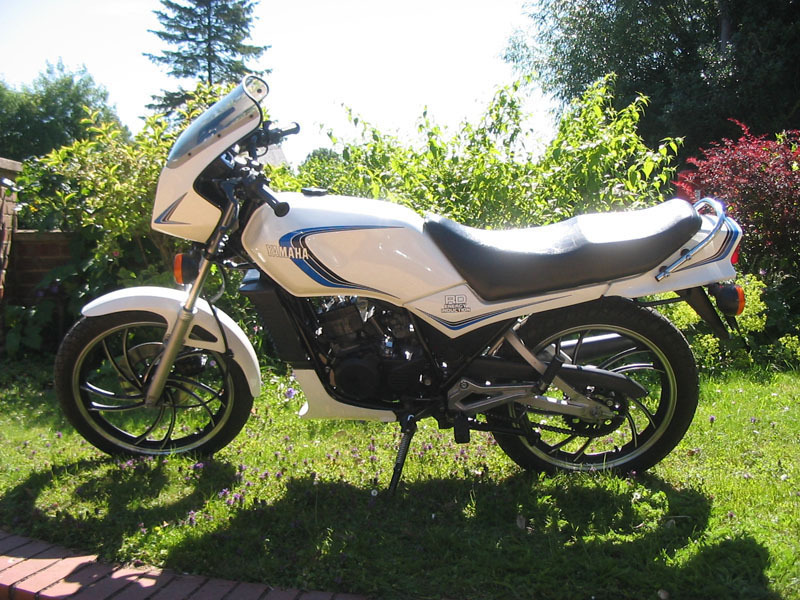 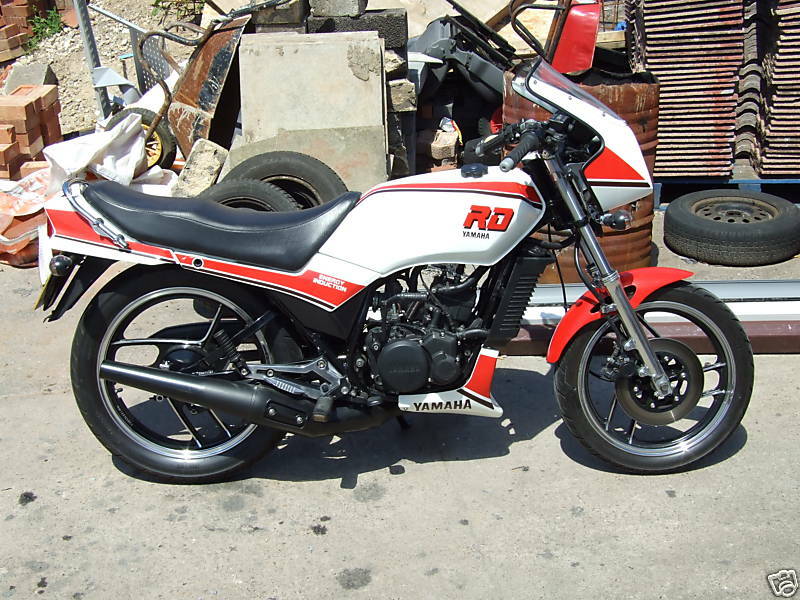 1985 Yamaha RD125 LC Model B. 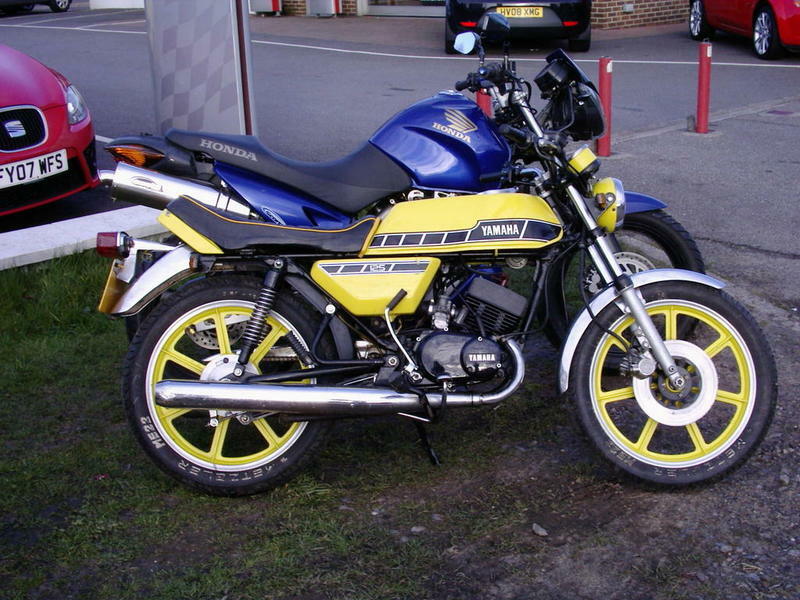 1988 Yamaha RD125 LC Allspeed exhaust. 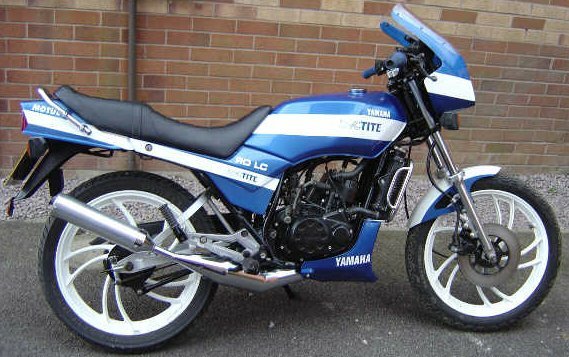 1988 Yamaha RD125LC Mk1 Micron exhaust. 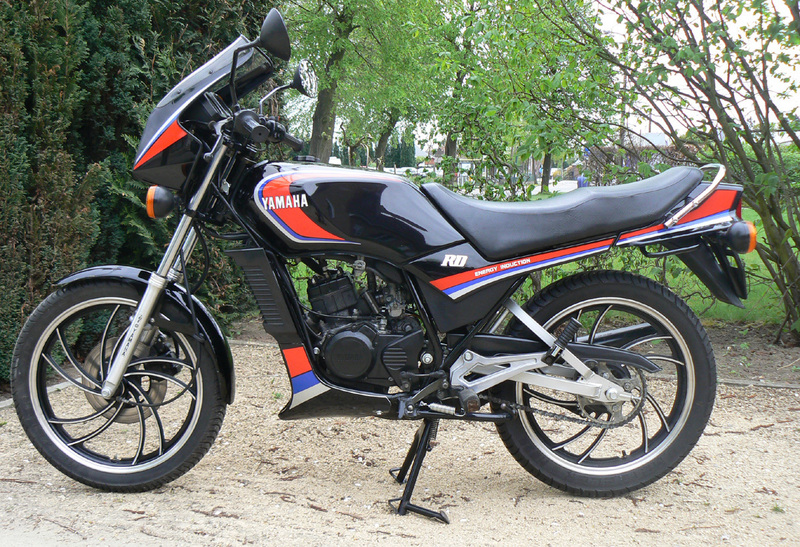 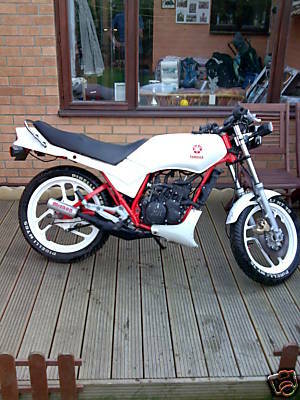 1988 Yamaha RD125LC MKII 1GM.